After sustaining an injury, people are often left with more questions than answers. What are the long-term implications of this event? What are my legal rights? Should I consider hiring a personal injury lawyer to make sure I’m treated fairly? The simple fact is this: Personal injury can seriously affect a person’s physical and financial well-being. Unexpected medical bills can exhaust individual or family savings accounts, while lengthy recovery times can lead to a great deal of psychological and career stress. Here’s another important fact: The person who sustains the injury is not always at fault! 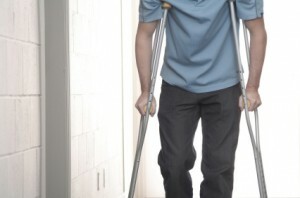 Sometimes, injury occurs due to the actions or negligence of a third party. It might be the other driver in a car accident, a business whose facilities were improperly maintained, or a company who manufactured and sold a faulty product. Establishing your legal rights, and knowing what kind of compensation you’re entitled to, is not always easy. Many third parties try to avoid responsibility for injuries caused, even when they know they are legally at fault. This is where a personal injury lawyer comes into the picture. Check out this page on Wikipedia for an interesting look at personal injury and the law. Contacting a personal injury lawyer is the first step toward finding out what your legal rights really are, and how to cope with your injury in the days and weeks after it happens. But who do you contact? Is every lawyer created equal? Can some lawyers lead you down the wrong path? In order to connect with an experienced personal injury lawyer in Monmouth County NJ, or wherever you happen to live, it’s important to first ask yourself the following questions. 1. Is there a fee for an initial consultation with this lawyer? A reputable lawyer will often give you an initial consultation free of charge. This enables you to discuss your case with no obligation or cost. It enables you and the your lawyer to examine the basic facts of what happened, determine who might be legally responsible for your injury, and assess the strength of your case. For example, here is a link to free consultations in the State of New Jersey. Always make sure you know whether or not there is a cost for your first consultation. 2. What is the fee structure if I decide to go ahead? Being clear and upfront about fees is a trait of any good personal injury lawyer. Most lawyers work on the basis of contingency fees, which means they receive a percentage of your award only if the case is successful. If the case is unsuccessful, the lawyer does not receive anything from you. Contingency fees are commonly between 30% and 40% of the award received by you, but this varies between different States and law offices. Some lawyers also charge expenses or other costs, such as court fees for filing your case. Whether you’re seeking a personal injury lawyer in Monmouth County NJ or anywhere else in the U.S., always look for one that is honest and transparent about costs. 3. Does this lawyer have areas of specialization? Is there a successful track record to speak of? During an initial consultation, never be afraid to ask a lawyer whether he or she specializes in cases like yours, and has won such cases in the past. The lawyer should be able to give you concrete examples that demonstrate his or her expertise in your case area. 4. Does this lawyer guarantee certain financial results, or a quick turnaround on your case? Beware any lawyer who guarantees a specific or quick result. Confidence is a sign of experience and knowledge, but absolute guarantees do not exist when it comes to personal injury claims. Avoid working with a personal injury lawyer who makes overly bold claims; instead, seek a lawyer who gives you realistic expectations about your case and the time it will take to process.